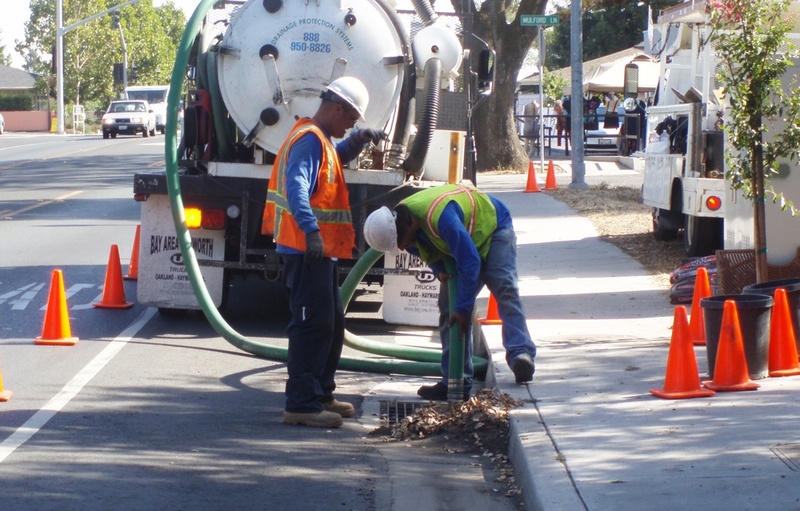 Properly maintaining and regularly servicing stormwater management systems is often required to meet regulations – and just as importantly – so they will work as they were designed. If you have read our previous blogs on managing stormwater runoff volume or reducing pollutants, then you understand the importance of implementing stormwater management best practices. Maintenance is the final step in ensuring the systems you’ve installed will function properly for years to come so that harmful pollutants are removed from stormwater before it flows back into our water sources. Excessive sedimentation, clogged inlets and outlets, compacted soil, and more can lead to overflows that are harmful to water quality. This can negate the original intent of the stormwater management project. Poor or no maintenance can lead to fines and distrust from the surrounding community. This article looks at how you can maintain your system and what you can expect during a routine inspection. Having a stormwater management system and pollutant reduction system is not enough on its own. Proper and regular maintenance is required to ensure a healthy water source. Depending on the type of system you have, it’s important to select a well-seasoned company or stormwater expert who is familiar with your local requirements and a variety of practices such as bioretention, infiltration, green roofs, detention vaults, storm drains, interceptors, and more. This will eliminate the guesswork on your end. Some companies offer maintenance contracts so your system doesn’t fall into disrepair. Below are factors to consider when maintaining your stormwater management system. Federal, state, and local regulations require that stormwater systems be maintained and serviced on a recurring basis and that collected materials (trash, debris, and sediments) be properly disposed of. Some materials found in stormwater systems may contain hazardous wastes that are ignitable, corrosive, or toxic. It’s best to let a professional company ensure the waste is disposed of properly and in a manner that follows the guidelines of your local jurisdiction. Depending on the system, the manufacturer’s recommendations, and your location, the timing and frequency at which you need to perform maintenance may differ. A regular “recurring” basis may mean a full clean-out annually or bi-annually, but filters may need to be changed more frequently. The amount of runoff, volume of pollutants, and interference from debris (cans, leaves, paper, etc.) can impact frequency. Also, depending on your locale, it might be necessary to have service completed before the rainy season or heavy rainfall. For underground detention, retention, and infiltration systems, there are configuration attributes that dictate how the system must be maintained. For instance, in units made up of a single detention tank, a long-handled net can be used to retrieve the bulk of trash and debris. In larger, multi-unit systems, there may be passage ways or doorways with corners where a person must enter and vacuuming must be done to remove sediment. 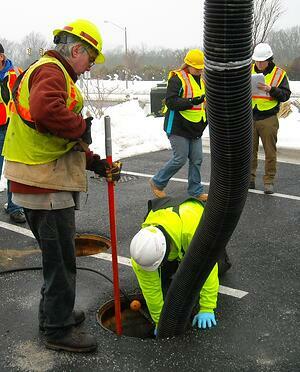 Make sure these technicians are trained and certified in confined-space operations to properly work on your systems. Open bottom storage basins that use gravel and aggregates may have splash guards in place to prevent erosion. Jetting and flushing should be avoided for systems like these so that there is no particle displacement. However, flushing is acceptable in systems with concrete bases. Additionally, there may be time needed for observing the inlet and outlet pipes for blockages and monitoring drain-down time. Some bioretention/biofiltration systems may require periodic irrigation to establish and maintain trees or vegetation. Vegetation will typically become established about two years after planting. Irrigation requirements are ultimately dependent on climate, rainfall, and the type of vegetation selected. In some units, pollutants such as trash, debris and coarse sediment are retained within a pre-filter chamber for easy removal by hand or with conventional vacuum equipment. Making sure you follow municipal and state regulations is key. Whether you are a municipality-owned facility or a private HOA, a thorough inspection of the system can protect everyone’s interests. Plus, it is often a state or local requirement. It’s important to schedule an inspection even if the system is new to establish a baseline that future inspections can be compared to. 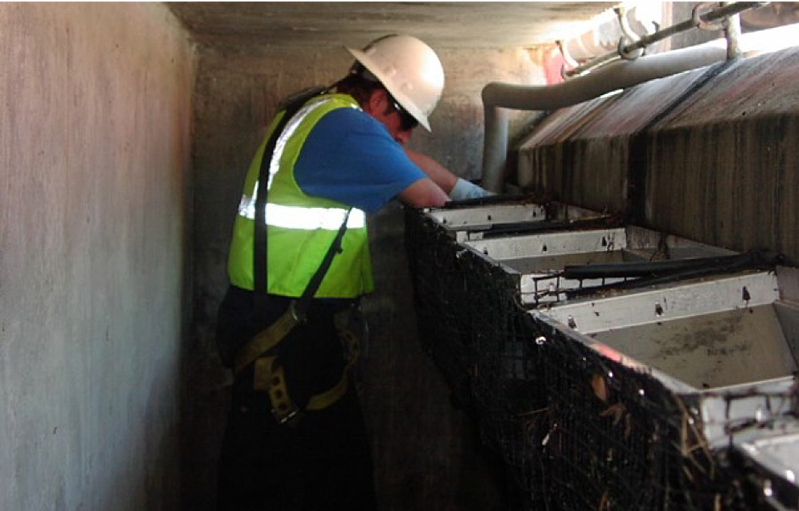 For all inspections, your system inspector should be OSHA-compliant and certified in confined space operations. 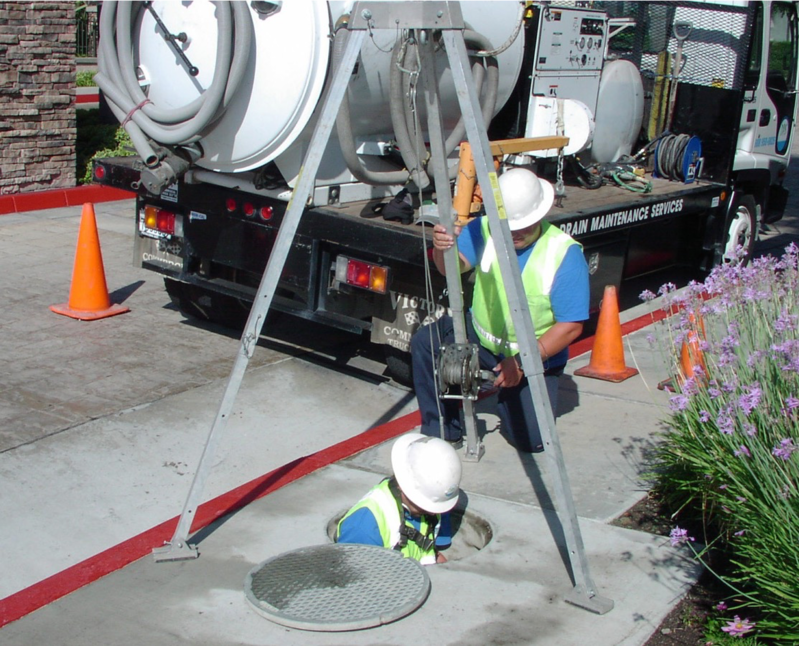 While looking for improper discharges, they may use a closed circuit TV (CCTV) to inspect storm drains and sewers. He or she will evaluate the type of facility, where the water enters and exits, and what the age of the material is, among other things. In addition to keeping your system running properly, regular inspections can allow you to budget for future maintenance and possible failure. A Certificate of Compliance should be issued after each inspection to keep record that the system is being properly maintained. If a certificate is not issued, then you have no way of proving you passed the examination and run the risk of being fined in the future. Understanding the importance behind pollutant and runoff reduction will help minimize the impact that increased urbanization and construction will have on the surrounding environment. To learn more about stormwater management, including how to reduce volume and maintain stormwater systems, check out our guide.